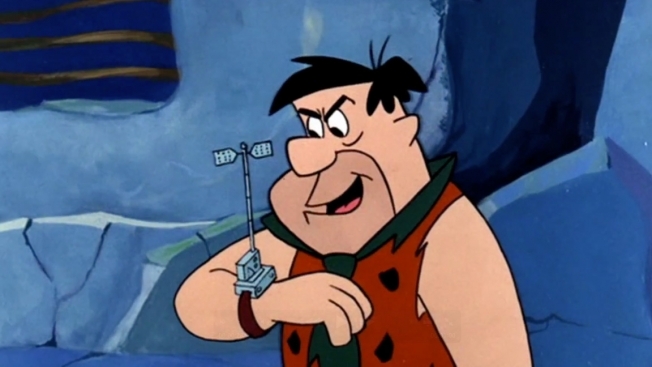 Last year barely anybody was thinking about wearable technology, 10 years ago barely anybody was thinking about smart phones, 20 years ago barely anybody was thinking about a portable computer, and 30 years ago barely anybody was thinking about a personal computer. Time goes by fast and every year the technology expands with it; why not keep track of both them with your watch, your android wear watch? Ever since Google announced android wear, every OEM has been scrambling to make the perfect smart watch, one that has the best display, battery life, and the best overall feel on the hand and granted, this is all they can do, because right now android wear is basically the same on all devices. Even though they’re all similar, that doesn’t mean that android wear isn’t a beast of an operating system. So, here are The Top 5 best features on android wear. This has been the death of some companies; it was even almost the death of android for the first year or so, APPS. When apple came out with the iphone it had already established an app store, apps and developers and this is one of the many reasons why apple had android beat for the first couple of months of its release. But, this time the tables have turned, Google entered the game early and it came to play. I don’t know how to even begin to explain this awesome but, yet some times forgotten feature of android wear. I am a realtivly new driver and I would classify myself as an okay driver, sure I go a little fast here and there, but then again who doesn’t. I use Google maps a lot and I do not want to buy a holder for my phone, because all of them are just awkward and I have to end up placing the phone on the dashboard and it’s just a hassle. One thing I noticed is that I am literally staring at my wrist half the time I drive and it doesn’t have to go away every time I get a phone call or a text, and put me in a dangerous position while going 80 down I95. So, don’t take this for granted if you’re a driver, it is really helpful and it saves your phones battery life by keeping its screen off. When siri came out everyone thought it was just a gimmick to sell more phones, but it did actually bring some cool features to the table, because lets just face it human’s are lazy and if you can make something easier then, why not. This might have been the concept behind wearable technology, as it allows us to avoid the hassle of taking our Smartphone’s out of our pockets and reading our notifications. Well, now it’s even simpler, you don’t even have to touch your android smart watch to do most of the commands all you have to do is say “Okay Google”. There might be certain times where you have to access your watch or phone, but most apps (if not all) have okay Google commands to make our lives a bit easier. This feature is prominent on a lot of smart watches, as every company knows its value and importance to the average consumer. I even had this feature on my old Sony smart view, which if I think about it, that was the only thing Sony really did right with that smart watch. Now, skip a couple years later and android wear also does it, but it does it a little better. From your android wear smart watch you can just say okay Google to play your sound track, you can control volume, change tracks, and even adjust audio quality to your preference, making your phone just a storage device for the music. 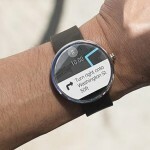 Google could have went a couple different ways with android wear, they could have made it just android on a tiny screen, they could have made some weird browser like watch interface, but they didn’t. They have been building Google now and tying a lot of service to it, making it the hub of all your information that can be easily accessible and maintained. So, this truly is why android wear is different then most of its competitors, because it doesn’t bring use less information and horrible functionality (ahhm samusng), but it shines. It shows you everything you need to and you can even avoid possibly looking at you phone the whole day. You can check weather info, traffic updates, news, email, texts, flight status, you can load your boarding pass, check package deliver status, and so much more just by swiping between your cards. It’s an easy to use design language that will probably require a learning curve of a day (ahhhm Samsung) .